Pitchers and catchers have reported to camp and I am beyond ready for baseball to return (hopefully it brings the sun and warm temps with it!). As pumped up as I am for some baseball, I am coming into the 2015 season a little less confident than I did last year. Now don’t accuse me of sitting on the fence, but there are a number of reasons why I am both excited for and worried about the Tigers all at the same time. 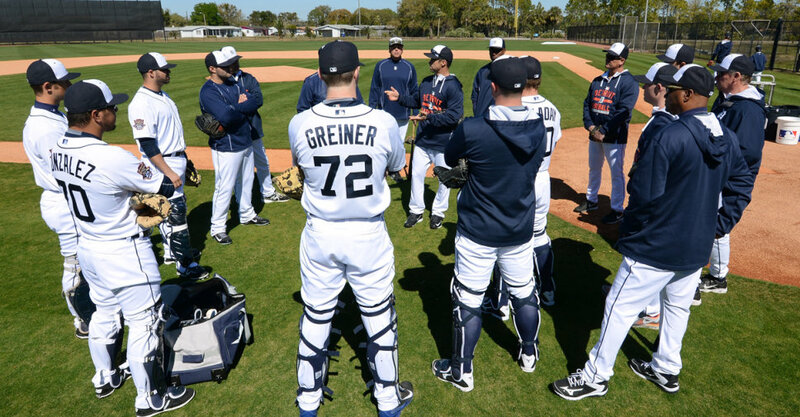 Before I get in to my reasons why I think the Tigers will, or won’t, win the Central, let’s take a look at the numerous roster changes that took place this off-season. 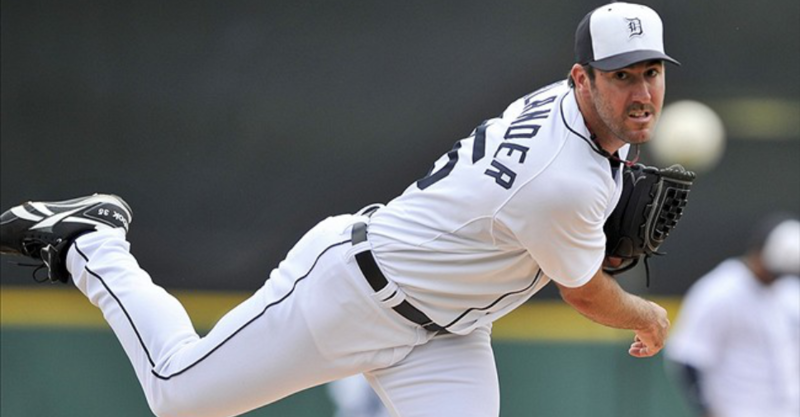 Max Scherzer and Rick Porcello are two key departures in the Detroit Tigers starting pitching rotation. OF Yeonis Cespedes – The Tigers traded starting pitcher, Rick Porcello, for this power bat – .260 AVG, 22 HR’s, 89 Runs, 100 RBI’s last season. Yeonis will man left field for the Tigers this year. SP Alfredo Simon – 33-year-old right-hander, was a NL All Star with a 15-10 Record and a 3.44 ERA last season. Simon is expected to be the #4 starter in the Tigers rotation. SP Shane Greene – Tigers traded relief pitcher Robbie Ray and a prospect in a 3 team deal with the Diamondbacks and Yankees to get Greene. Last year as a rookie he had a 5-4 record and 3.78 ERA for the Yankees in 15 games and 14 starts. OF Anthony Gose – The Tigers traded for this speedy outfielder who is a natural center fielder and can steal bases. RP – Tom Gorzelanny – The Tigers signed 32-year-old left hander Tom Gorzelanny who had a 0.86 ERA with 23 strikeouts in 23 appearances for Milwaukee last year. So now that you know the departures and additions here are the reasons why I’m on the fence about this year’s team. I think that Verlander is going to return to form this year and be that Ace that he was just a few years ago. Last year he came into the season after surgery which derailed a lot of his training prior to the season and he just wasn’t able to get it going last year. His velocity was down and he was very hittable. Well now that he has is 100% he can go through his normal routine and should be in tip top shape and ready to go to start the season. Defensive wizard SS Jose Eglasies is back which gives the Tigers one of the best fielding shortstops in the game. Also with the addition of OF Yeonis Cespedes the Tigers now have an outfielder that is solid defensively and has a rocket for an arm. The Tigers come into the season with a lineup that will showcase both speed and power. Anthony Gose who is a true center fielder that that is good defensively and has a good arm. He also possesses above-average speed and can steal bases. The addition of the power hitting Yeonis Cespedes will give the Tigers that needed offense – especially with both Miggy and V-Mart coming off injuries. Expect players like J.D. Martinez and Nick Castellanos to improve upon their already solid numbers from last season as well. 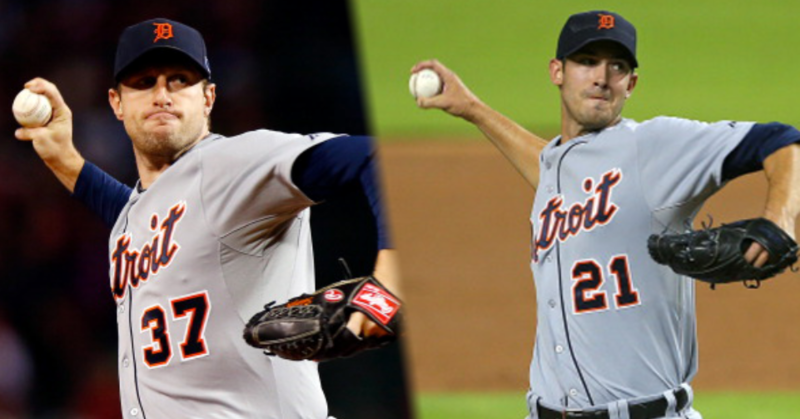 Even though we lost Sherzer and Porcello we still have a pretty awesome rotation with one of the best 1-2-3 punches in all of baseball (David Price, Justin Verlander, Anibal Sanchez). If all three can live to their expectations, then look out Central! The last few years the Tigers pen has been awful, but their is a glimmer of hope that our bullpen will be better then years past. If RP Bruce Rondon can stay healthy he will be a huge help to the middle relief innings. Rondon has a huge arm that can hit triple digits on the gun. Also, the newly acquired left handed relief pitcher Tom Gorzelanny is an upgrade from Phil Coke. Gorzelanny had an 0.86 ERA with 23 strikeouts in 23 appearances for Milwaukee last year. 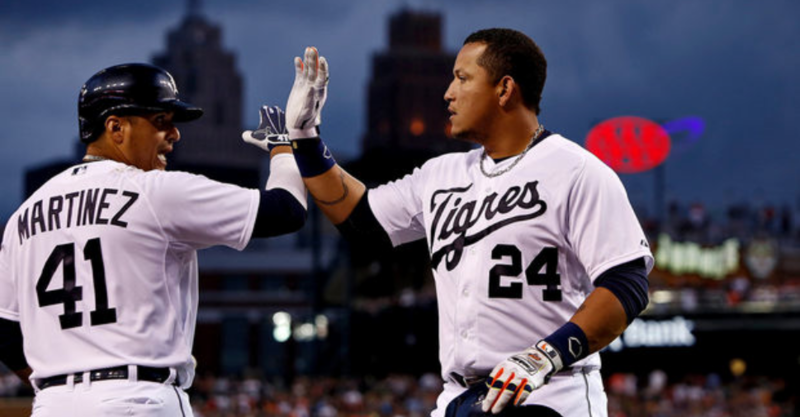 Victor Martinez and Miguel Cabrera are both coming into the 2015 season off of surgery. The Tigers start the season with two of their most important players hurt or coming off an injury. Miguel Cabrera, who underwent surgery to remove bone chips from his ankle and to repair the navicular bone, is still unsure if he will be ready for Opening Day. The other scary part is even if he is available for Opening Day, will he be 100% and ready to go or will he be behind and start off the season slow? Victor Martinez tore his medial meniscus in left knee during workouts and had to have surgery. Timetable for recovering from this is about 4-6 weeks which would put him behind the 8 ball to start the regular season. 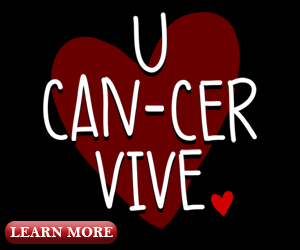 And I’ll just say it now. If these two guys aren’t healthy all season, the chances of the Tigers winning the division are slim. We lost Max Scherzer and Rick Porcello and we added Shane Greene and Alfredo Simon. Which means we have downgraded our staff quite a bit as far as I am concerned. Simon had a good year last year but really slowed down the second half of the season. Also a switch from the National League to the American League is also a bit of a concern. Shane Greene only started 15 games last year as a Rookie so he is a big question mark as well. This rotation has the potential to be less than stellar, which could land the Tigers in the division cellar. The Royals are defending American League Champions and the Chicago White Sox made some major moves by adding SP Jeff Samarzija, two bullpen standouts in right-hander David Robertson and left-hander Zach Duke, as well as first baseman Adam LeRoche and outfielder Melky Cabrera. And don’t forget the the Cleveland Indians. They went out and got a big time bat in Brandon Moss. When it’s all said and done, it looks like the Central may be more competitive top to bottom than it has been in years past making it tough for the Tigers to win the division. Verlander is coming off one of his worst seasons as a pro and this year he will be leaned on more than ever with a weaker pitching staff. Can he return to form and be that dominate pitcher again or have we seen the best of Justin Verlander and everything is downhill from here? The bullpen is still a big weakness for the Tigers and Closer Joe Nathan showed last year that he just can’t be trusted. It looks like we could be in for another roller coaster ride this season in regards to the bullpen. Well there you have it, those are some of the things running through my brain in regards to the Tigers upcoming season. This year can go one of two ways and I’m hoping that everything falls right into place and that the Tigers will be back in the post season again this year! I ultimately think that the Tigers are going to win the Central again but what do you think the Tigers will do this year?